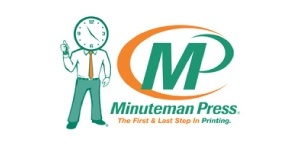 Minuteman Press is the largest Printing Franchise in North America, and is rated the #1 Printing Franchise in the printing industry by Entrepreneur Magazine. Minuteman Press Beltline in Calgary provides all the printing services you need including: business cards, envelopes, postcards, posters, flyers, brochures, invitations, newsletters, manuals, menus, annual reports, signs, custom-printed promotional products, comprehensive direct mail services,plus a vast array of additional printing services. We are now offering discounts for Jencor Clients – simply present your Jencor Card when placing your order.